Equivalent BMW Part Number: 63 12 6 948 180 ( 63126948180). 2006-2008 BMW 3-series (E90 / E91). Designed toexceed OEM specifications. 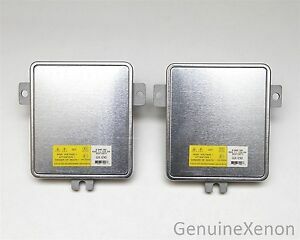 This ballast has been developed exclusively for GenuineXenon. Built with high-quality surface mount and through-hole components from leading manufacturers. Trusted & honest seller! These ballast are way brighter than oem!